Move on everybody, it's time to focus your energies on splitting Ballygunner. Haha, more obsession, stalking and jealousy. Dosen't sound like a training session to me, but perhaps seeing how an earlier generation of young men were caught up in a teriible event. Time to grow up and stop being petty. 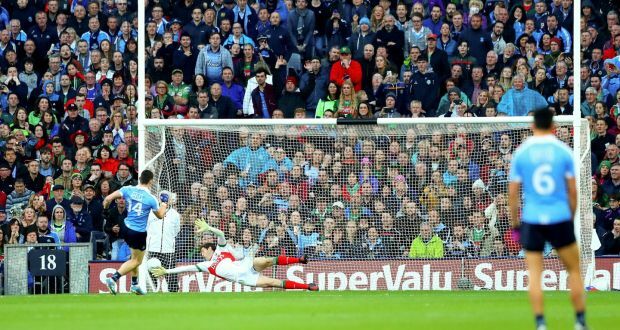 I was fairly certain dublin played club championship games in april? what have they actually done wrong or rule broken? They will be sewing Poppies onto their geansaí next. In fairness though it's a far cry from some of the other teams going to "bond" in resorts famous for their warm weather training facilities. Yes, the Dublin GAA Historical Society on an outing. That's all it was. There's one less Subaru down Roscommon way this week. Maybe Roscommon County Board will replace it? Maybe so Larry, but that's not the rule. 17 counties were investigated for trips taken. 13 of the trips were found not to have broken any rules. One of the 13 was Dublin. But it seems some people haven't manage to get their fill of whinging in for 2018 yet, so work away lads! One of the 13 was Tyrone. The club games were all moved forward to a Friday night that weekend and the county players played. They then met up on the Saturday and went away for a night. I'm not sure if it broke the rule but it certainly shouldn't have been penalised and was different to the Dubs.